A hand packed selection of 12 delicious quality vegan chocolate and snack bars. 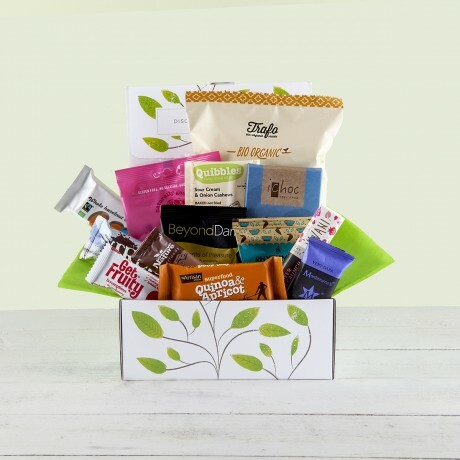 Whether it is for yourself or sending it as a gift, this beautifully packaged Vegan Gift Hamper is sure to impress! 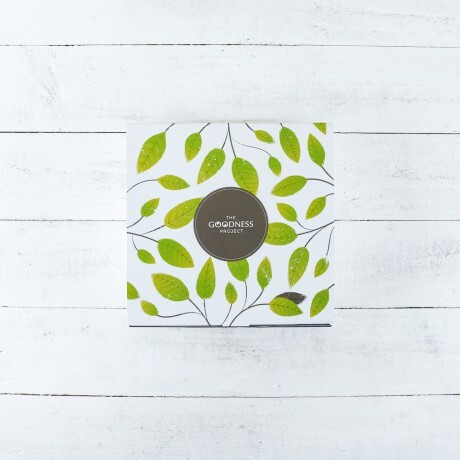 Presented in an attractive branded 100% recycled eco-friendly box, wrapped in lovely tissue paper with ribbon. All items natural, vegetarian and vegan-friendly. 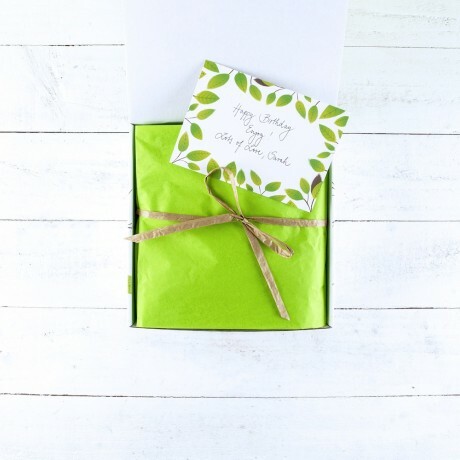 Don't forget to add a gift message and we'll elegantly hand write it onto a gift card and include it with your gift box.